Due to the long break, I had to find some activities to keep my toddler busy. It was the chance for us to try FlyKidz, which I have heard from other parents (and saw their advertising as well at Bonda magazine). We went on a weekday afternoon to do a trial class, which they charged me for. I noticed that many of the places in Malaysia charge for trial classes - be it music classes, etc. By the time they started, there were only 2 other young kids near my daughter's age, while there were other older kids who joined the warm up session. It was nice to see my daughter participating, and I was wondering if this will be something she would be interested in for the long term. The teachers seem to be very engaged, which is good. 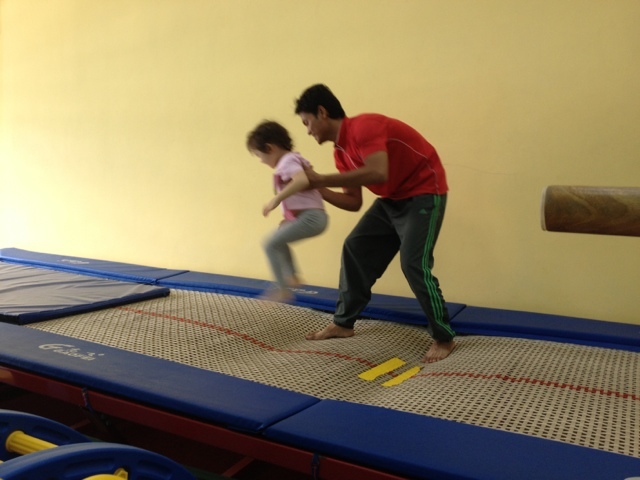 Unlike my experience with Gymboree long ago (when my daughter was much younger, we went to the one in Bangsar). The teacher makes a difference in terms of engagement and quality of the activities. Later on, they were split into two groups, the young ones and the older ones. My daughter went with the young group and they tried several things: small slide, crawling inside a tube, jumping on the trampoline, etc. Because there were only 3 students, I guess the attention per student was better than other places. 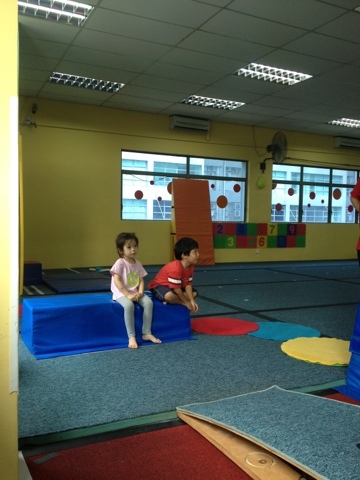 For example when we went to Young Explorer (in One Mont Kiara), their summer camp was obviously over-subscribed and they didn't have enough staff to look over the kids (in my opinion). My daughter was dead tired that evening and slept through the night, which is I guess a very good incentive why parents bring their kids to FlyKidz, apart from learning some gymnastic skills. The location of the place is in Solaris, which is convenient for people who live in Mont Kiara. 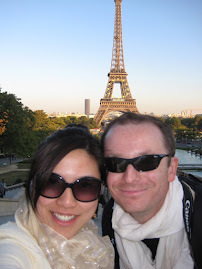 The only hassle was the parking (which is near Cold Storage) was a bit of a long walk for us especially in the heat. It is hard to chance upon a good parking slot on the roads of Solaris (in front of the shops). Overall we had a good time. 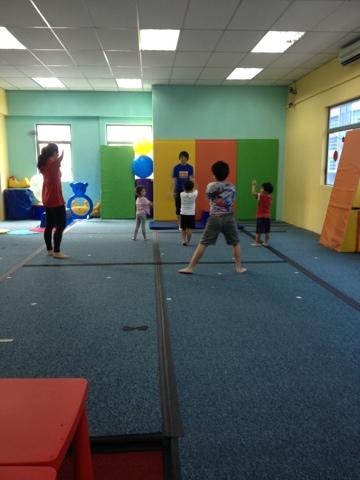 The only downside was the small Japanese boy who did the activities with my daughter passed on his flu. My daughter had fever, sore throat and colds for the next few days because of him...I guess these are unavoidable things especially in a place like this where they are touching everything (and perhaps not sanitizing often enough). Will probably consider bringing my daughter for a term next time, should she stop her ballerina classes.